Midgar Templehair 4,5-6 cm is the absolutely finest genuine templehair available. 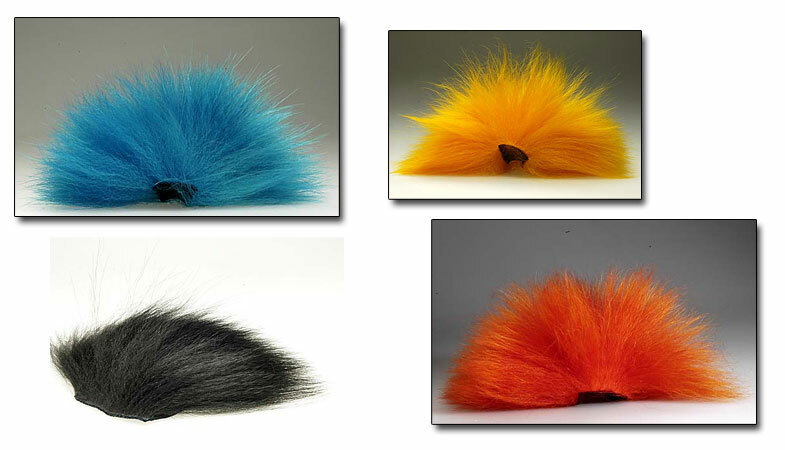 It is the ultimate material for making tear-drop shaped, wiggling wings on any salmon flies, tied on hooks or tubes. The key to get ultimate, nice looking and good swimming flies is to taper the wing by using different lengths of hair. It is crucial that you tie in the hair at the base, and thereby choose longer and longer hair to get the wing nice looking! Midgar Templehair 4,5-6 cm are offered in 49 great colors. The skin patch before dying is 4 x 6 cm.